In stark contrast to the conditions experienced in Toowoomba, Queensland (QLD) earlier in March, Dungog, New South Wales (NSW), has treated the 2019 Yamaha Australian Off-Road Championship (AORC) Juniors to arguably pristine conditions for Round 3. Featuring a timecard Enduro format on a bLU cRU Cross Test and bLU cRU Enduro Test, the conditions were arguably perfect with tacky soil and blue skies. Riders navigated the bLU cRU loops tests a total of six times, with three efforts per test. Coming out on top for Round 3 was Billy Hargy, Riley McGillivray and Blake Hollis (Excite Motorsports, Yamaha) for their respective J2, J3 and J4 classes. Continuing his fantastic streak from Toowoomba, Hollis came out victorious for Round 3 in the J4 class. As he navigated the bLU cRU loop for the Cross and Enduro tests, Hollis remained dominant throughout the day to take out first place, with a total time of 36:29.379. A positive persona both on and off the bike, McGillivray finished Round 3 ahead of the pack for first place. 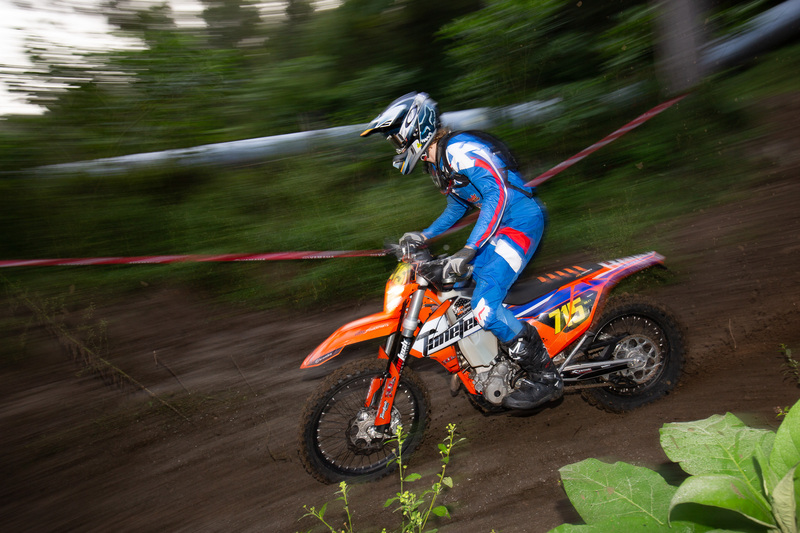 Although experiencing the Enduro format for the first time, McGillivray remained steadfast to take the lead by just under 40 seconds. Sitting in second today was Kodi Stephens with a total time of 38:52.922. Rounding out the podium today in third was Will Dennett, with a total time of 40:01.809. Using his experience in Toowoomba and guidance from his father, Ian McGillivray, who competes in the AORC Masters class, McGillivray stated “It was a pretty good day. I have never done an Enduro before but I got some tip from dad and I think overall it went pretty well. “I really enjoyed the trail riding! It was a lot of fun mucking around with your mates. Obviously when you landed at the special tests you needed to go a bit harder and the tracks chopped up pretty well. Today was basically drama free. I had a little trouble with the throttle but I had that fixed pretty quickly so the remaining day went by smoothly. “Overall, the conditions were great. It started off slippery in the morning but after the sun hit it started to dry up and it’s pretty perfect now,” highlighted McGillivray. Taking out top spot today in the J2 class was Hargy, who remained dominant on the leader board throughout the day. Riding across pristine conditions to exemplify his emerging prowess, Hargy finished today with a total time of 39:33.675. Sitting behind Hargy in second place today was Max Phillips with a total time of 39:51.370. Coming in hot after Phillips to take out the final podium position was Jett Arnold, with a total time of 40:03.587. “Today was pretty tough. I had a few crashes in the first test and had to work hard on making up my time in the remaining tests. Overall though today ended on a really positive note,” explained Hargy. “I found I wasn’t strong on the rocks so I tried to make up as much time as I could on the grassy sections. Our AORC Juniors return tomorrow for Round 4 of the 2019 season, tackling another timecard Enduro. Stay tuned on all provisional results as they come by checking out AORC.org.au, Facebook andInstagram!